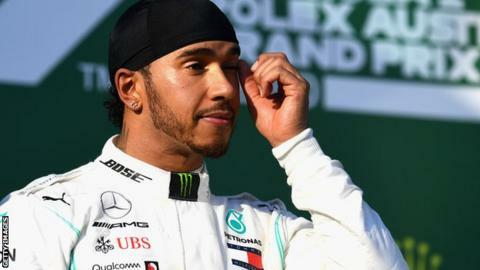 World champion Lewis Hamilton says it is "crazy" that racism is "very, very prominent" in sport and has called for stricter punishments. Hamilton's comments come after England footballers were racially abused in a match against Montenegro this week. "It is really there. All around the world, racism is still a real issue, which is sad to see," the 34-year old Mercedes driver said. "People just need to stand up for it more. Action should be taken." He added: "I just remember being at school and you'd kind of get a slap on the hand for it and it's kind of let slide and I don't think that should happen anywhere. "It starts from parents passing it on to kids and it continues on." Hamilton posted a message on Instagram after England's 5-1 victory in a European championship qualifying match in Montenegro saying the chants were "despicable and completely unacceptable". Speaking before this weekend's Bahrain Grand Prix, he added: "It is crazy to think that in this time in the world it is still very, very prominent. "It doesn't seem like it is going to be migrating much over the next years but it is great to see people standing by people in support but it doesn't look like something is going to particularly change for a long time." Hamilton's Mercedes team dominated the season-opening race in Australia two weeks ago, his team-mate Valtteri Bottas leading the Briton home to a one-two with the Ferraris nearly a minute behind. But he believes Ferrari might come back stronger this weekend at Sakhir. "I really hope it's a lot closer this weekend," he said. "I know some people think we were sandbagging or whatever it was in [pre-season] testing. "We came into the first race thinking it was going to be a lot closer than that. We didn't think we would be ahead and from the information I had we were behind. "We had the pleasant surprise of being fast in the last race but it could change here. maybe in the last race the tyres weren't working for them. I'm just as excited as you are to see how that pans out." He also had praise for the progress made by Red Bull following their switch from Renault to Honda engines. Hamilton said: "Without doubt the Red Bulls had a much better power unit than last year. The performance is very close, they are within 10bhp of the top cars. Look at the GPS and they are pretty much as quick as us on the straights. That is a great start for them and I just hope the reliability is good for them and they can stay in the fight." Ferrari had a number of issues in Australia - the car set-up did not provide a balance the drivers liked, and sources close to the team say their fuel consumption was high and they needed to turn the engines down in the race to combat that. Sebastian Vettel, who finished fourth just ahead of new team-mate Charles Leclerc, also had overheating of his hybrid system. Vettel said: "The key factor for me is I drove a car in pre-season testing that I really liked and felt really comfortable with and I didn't have much to complain about and I went to Australia and it wasn't there. That was the one standing out. Hopefully this weekend is back to the feeling where the car was in pre-season testing. 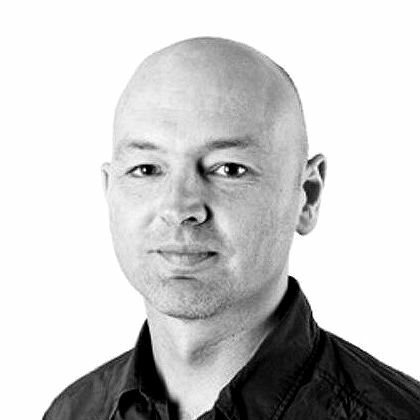 "There was a lot of thoughts and big analysis. The last couple of weeks have been very intense. "We learned some things about ourselves and the car that will help us to be more competitive but we are not in a position to be able to make promises. We need to wait and see. "Mercedes was more competitive than we expected and together with us being less competitive than we expected that explains the large split."